Margaret BodenHow is it possible to think new thoughts? What is creativity and can science explain it? When The Creative Mind: Myths and Mechanisms was first published, Margaret A. Boden's bold and provocative exploration of creativity broke new ground. Boden uses examples such as jazz improvisation, chess, story writing, physics, and the music of Mozart, together with computing models from the field of artificial intelligence to uncover the nature of human creativity in the arts, science and everyday life. 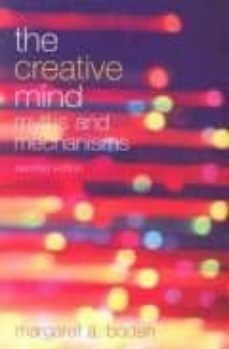 The Second Edition of The Creative Mind has been updated to include recent developments in artificial intelligence, with a new preface, introduction and conclusion by the author. It is an essential work for anyone interested in the creativity of the human mind.